Hijacked is a moving image work created in 2017 by Duke Faculty filmmaker Shambhavi Kaul. It is concerned with airplane space and has a "noise music" soundtrack that evokes the soundscape inside an airplane. For its month-long installation in the Ruby, Kaul is presenting Hijacked as a 15-minute loop, and she's experimenting with new modes for both the picture and sound components to create a more immersive experience of "airplane space." 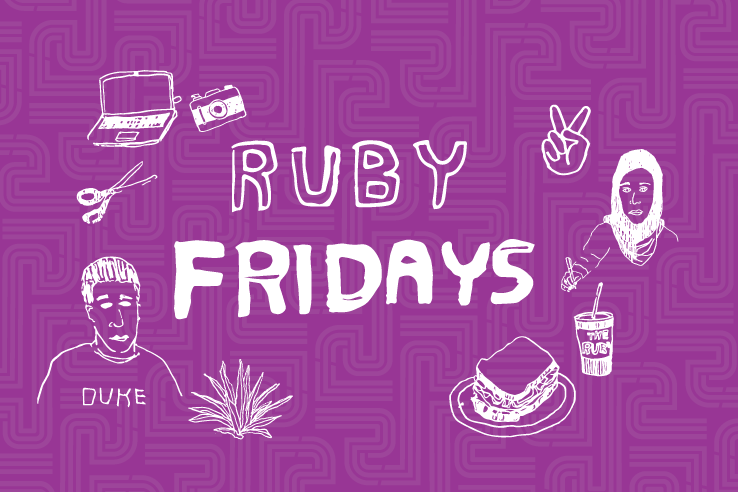 This Ruby Friday event is your opportunity to join her for the experience, with a little lunch on the side.